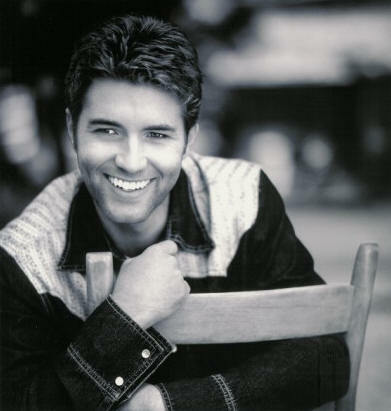 Josh Turner was born Nov. 20, 1977, and was raised in Hannah, S.C. Growing up in the church, he found himself singing the bass and baritone parts in numerous choirs. After high school, he moved to Nashville to pursue a career in music and enrolled in Belmont University. After college, his fledgling career got a boost on Dec. 21, 2001, during his debut on the Grand Ole Opry. "I sang a song I wrote, called 'Long Black Train,'" Turner says. "I was on cloud nine, standing there singing a song of mine, standing where Johnny Cash, Marty Robbins, Ernest Tubb, Hank Williams, Patsy Cline and Roy Acuff had stood. All of a sudden, people started standing up and cheering. I wasn't even through with the song yet! I had two more verses and a chorus to go. By the end of the song, everybody was on their feet. I was in awe, just in shock." "Bill Anderson was hosting that segment," Turner says. "He came out just laughing, because he couldn't believe what was going on. He said, 'Do y'all want to hear some more? Josh, make that train a little bit longer.' So I counted the song off again. I got really choked up, because I realized what had just happened. I'd gotten an encore on the Grand Ole Opry. I was numb. I started crying a little bit, and I think I skipped a couple of verses. But I made it through and got another standing ovation. There was a buzz in the building. I just couldn't believe that it had happened." One month after his Opry debut, Turner signed to MCA Nashville. He released his debut album Long Black Train in 2003, and it was certified gold (for shipments of 500,000 copies) by the end of the year.